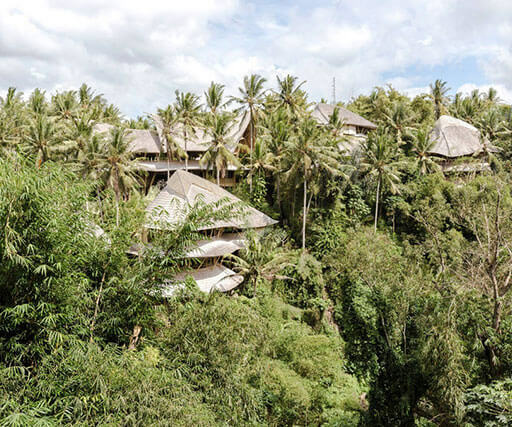 Climb up to calm down: The founders of the treehouse hotel Rosenberg offer you seven accommodations for the ideal holiday in a treehouse, and they promise you an unforgettable experience in the nature. Here you can forget the stress of everyday-life at once, unwind and enjoy the silence and relaxation. And if you are not satisfied with this, there are also several leisure activities at your disposal. The kids can get away from the TV, let their energy out at the fresh air and explore the surroundings, while the adults relax on the terrace. 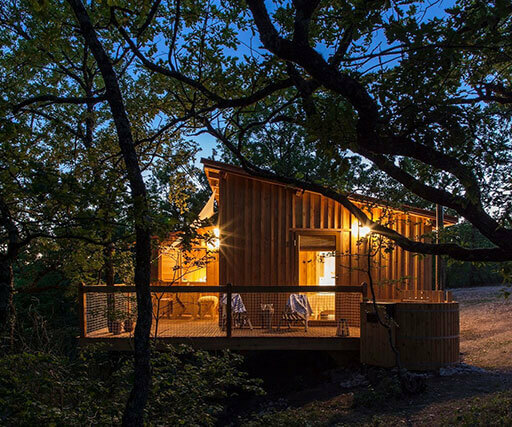 The treehouse hotel including the treehouses are located at the fantastic landscape of the municipality Rosenberg right at the Franconian-Swabian pilgrim’s path. The accommodations are available in different sizes. 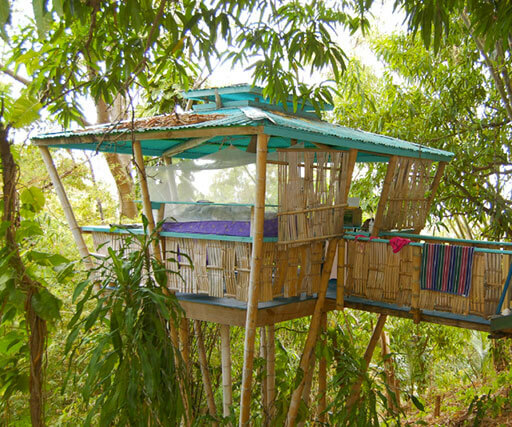 The biggest treehouse has enough space for a maximum of six persons. 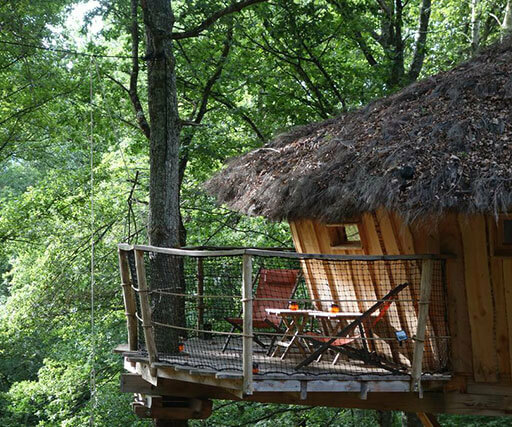 All treehouses are located at the forest edge and offer an unforgettable holiday experience in the nature. All treehouses are ready for moving in latest by 3 pm. On the day of your departure you should leave them until 11 am. This schedule applies to the high season (03/20/2017-11/03/2017). During the off-season (11/07/2017-12/30/2017 & 01/01/2018-03/19/2018) you can arrive or leave earlier or later on agreement. 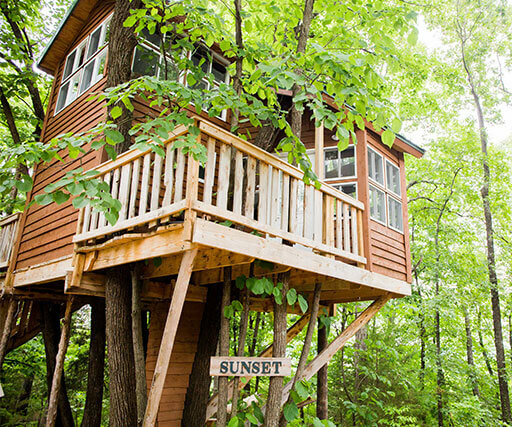 All treehouses are equipped with electricity, light and electrical heating. There are also enough outlets to charge your camera or smartphone at any time. Every treehouse has a terrace with a nice view. You can use the compost toilets that are available at the treehouses. 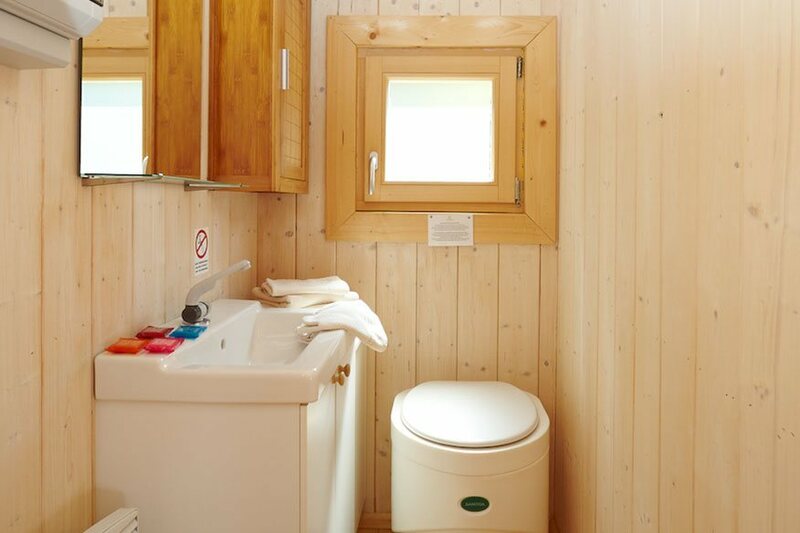 Furthermore, every guest has the opportunity to use the showers and toilets of the camping lot Hüttenhof. A hot shower is only possible for a charge of 0,20 Cent. Fortunately you’ll find some of these coins at your arrival at the treehouse. You don’t have to bring your own bedding, sleeping bags or small pillows. They will be provided by the treehouse hotel Rosenberg. The only things you should bring with you are good friends, slippers, a torch and a pocket knife. Something for your entertainment and a good drop of alcohol won’t hurt, too. In the morning every person can choose between three breakfast options. There are a small or a standard breakfast available, and the third option is a champagne breakfast. At 8 o’clock your breakfast will be delivered to your treehouse. For all other meals we recommend the restaurants in Adelmannsfelden. The treehouses don’t have a kitchenette to prepare your own food. But you can have a barbecue at the fire place with about ten seats. In the surroundings of the treehouse hotel Rosenberg there are several possibilities for doing sports. For example, you can make a tour to the lake Orrotsee – also called the oasis of tranquility – and embrace the various leisure opportunities like sailing, boating or fishing. Those who don’t like to be in the water so much can go hiking or biking instead. Pets are welcome at the treehouse hotel Rosenberg. If you want to bring your little companion with you, you should tell the hotel in advance with your booking. In case of a storm you don’t have to be afraid, as all treehouses are protected against lightening strokes. 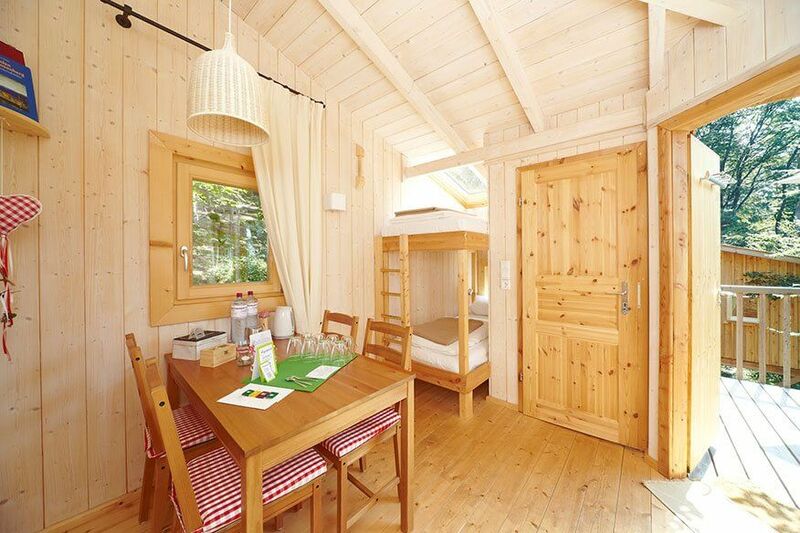 The prices for the treehouses are 128 € during the off-season and 168 € during the high season.